Why not (good) local beer? Chez Panisse, whose famous owner Alice Waters has written books about using high quality and local ingredients, carried crap beer until only very recently. And even that wasn’t Waters’ doing, my understanding is that one of her bartenders finally persuaded her to carry local beer. Her restaurant opened in 1971 and it took 35 years for her to apply the same logic that made her a food guru to beer? That she had to be convinced says quite a lot about how even devotees of fine, local food and wine can’t easily manage to extend their thinking to beer. Great points from Jay Brooks at his Brookston Beer Bulletin. And there are many of us who have long talked about the marriage of good food and good beer. 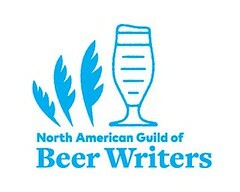 But even though the post above is specifically about ignorance of good beer, that lack of support for local beer is sometimes part of the good beer movement itself. It's almost as if it's sometimes a badge of good beer bona fides to believe that a beer must be from anywhere else, if it is to be truly worthwhile. It's almost as if it were tergiversation to believe that a fresh, local beer could be a good beer. Alcohol and nutritional labeling on beer, etc. 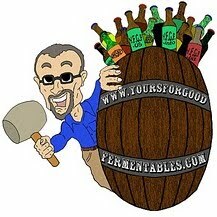 So you want to be a Beer Judge? It's a Capital idea for Fredericksburg! a bar debate: what's an ounce? Higher beer prices: tipping point?